I think that’s quite the fair deal… Might even be a steal of a deal considering most tiny homes of that size and quality are demanding prices of $35,000, $45,000 and even $55,000 at times. More than likely it’s already sold. 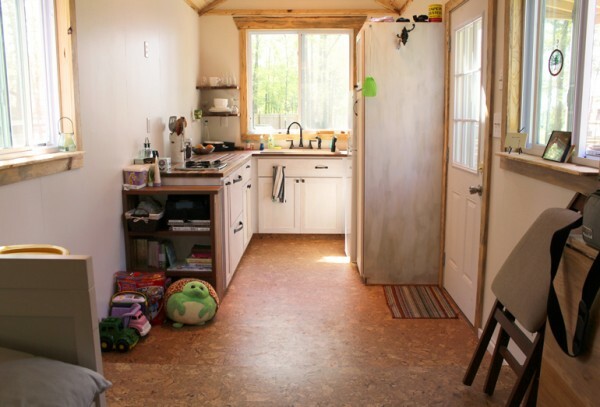 I’ve been following the small and tiny home revolution for decades – ever since I attended The Shelter Institute in Bath, Main way back in 1981. As you wrote, compared to what many tiny homes sell for, the price of this one seems quite reasonable. I’m not 100% sure yet, but it might already be sold as it was posted on his site a few days ago already. Another thing to know about it that I should mention is that it doesn’t have a bathroom because they built a separate structure on their property for washer/dryer, shower and toilet. But the house does make up for this with a big kitchen so that’s one reason it’s also priced more affordably than others.